Memberships are offered for more experienced potters who prefer to work independently. They are available in our second floor studio only. 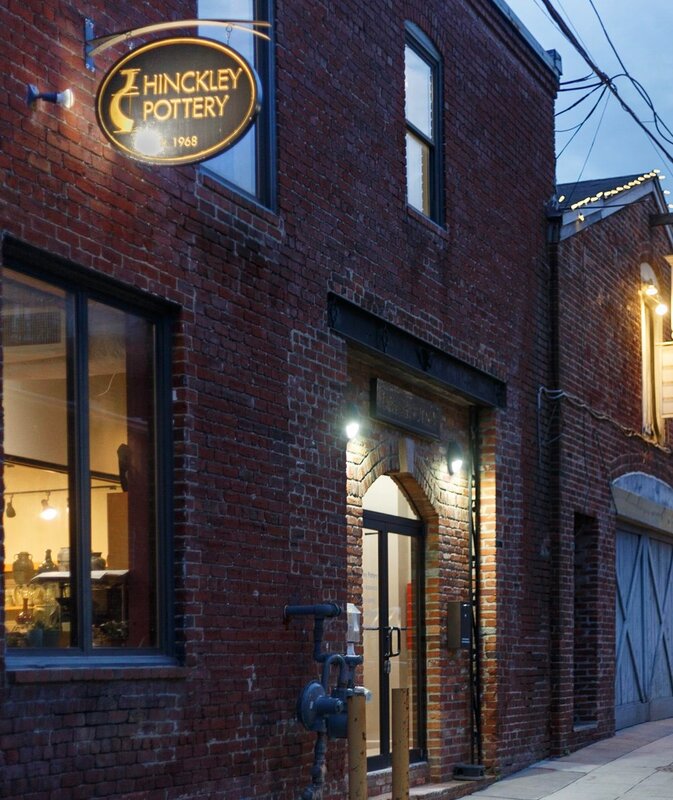 Members may have studio access for a maximum of 60 hours a month when Hinckley Pottery is open and no classes or workshops are scheduled for the space (an estimated 40 hours per week). This is a common space meant to be shared with others; it is not designed for production pottery. Storage of pots and supplies is limited to the number of shelves rented. Glazing of pots is done in the glaze area on the first floor. During class times, glazing space may be limited. • An initial payment of one month’s rent plus a deposit equal to one month’s rent is required. Additional shelves may be rented for $50 per month per shelf if available. Private instruction can be scheduled. • Requires a written agreement as well as an understanding of studio operations and safety and security measures. • Requires purchase of a clay package. Outside clay is not permitted, but specific high fire clay bodies may be requested. Clay package: $75 for stoneware, $90 for porcelain Covers 50 pounds of clay plus glazing and firing. Pots 8 inches or more in size after bisque firing will require firing tickets for glaze firing. The clay package fee covers glazes but does not cover under- and over-glazes and other additions.